A video of the play Wednesday was tweeted out with the words, “Anyone catch Brad Davison’s attempt at taking out Jordan Murphy?” and it quickly gained steam. 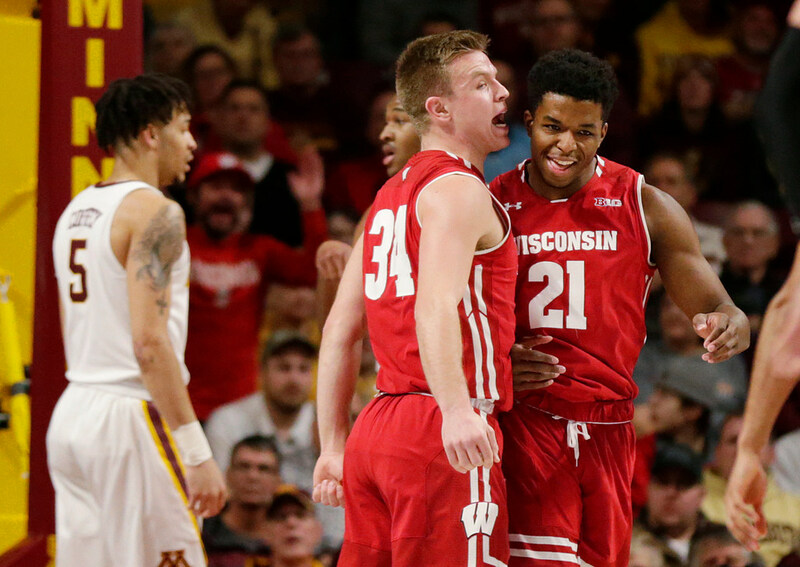 Before Wisconsin’s Ethan Happ waved bye-bye to the Williams Arena crowd Wednesday as a serenading taunt for his undefeated college career in the building, there was another tense, made-for-Twitter moment in the game. Brad Davison — a Badgers player form Maple Grove with a history of infuriating opposing teams and fans with hustle plays but also seemingly dirty plays — stuck his leg out during a Jordan Murphy rebound attempt. Minnesota fans remember Davison from a seeming trip of Nate Mason in a critical moment last season and could also point to other questionable Davison moments. Away we went with something that happens over and over again these days: Social media has a way of taking something that might have happened or even seems like it probably happened, framing it as if it’s a 100 percent certainty and then building a consensus around it through people who have a vested interest in a particular narrative. Sometimes these moments are cut and dried – a punch is thrown or some other clear piece of video evidence is offered – and the participants try to deny them in Orwellian “reject the evidence of your eyes and ears” fashion. That’s a separate yet complicating issue from situations that achieve 100 percent “verified” status through false consensus and an over-reactive, slanted narrative. The Davison play was one of those perfect storms of reputation plus “it sure looks like …” plus heat-of-the-moment rivalry transforming a suspicion or a possibility into a fact (that wasn’t a fact). Neither Gophers head coach Richard Pitino nor Murphy himself thought Davison crossed a line Wednesday — at least not in their postgame comments. Murphy said he knows Davison has a reputation but that nothing he saw in the game raised his suspicion. If you’re a Gophers fan, you want it to be true, and you have evidence/past history supporting why what it looks like is true. But as frustrating as it is — and as much as working edges and creating doubt is the hallmark of how athletes and coaches (and politicians and …) create plausible deniability and benefit of the doubt — you can’t believe something so hard that it becomes a fact. Add the play to Davison’s ledger of suspicion, for sure, but don’t confuse it with certainty just because others are shouting that it’s true. *Jimmy Butler raised a few eyebrows Thursday, just hours before the NBA trade deadline, with a relatively cryptic tweet. Could be nothing. With Jimmy, though, you never know. *The Gophers women’s basketball team had another nice road win Wednesday, giving them a three-game winning streak after starting 2-7 in Big Ten play. Lindsay Whalen’s crew still has a big deficit to overcome, though: some bad losses and a soft nonconference schedule mean the Gophers, even at 16-7 overall, are just No. 115 in the RPI.